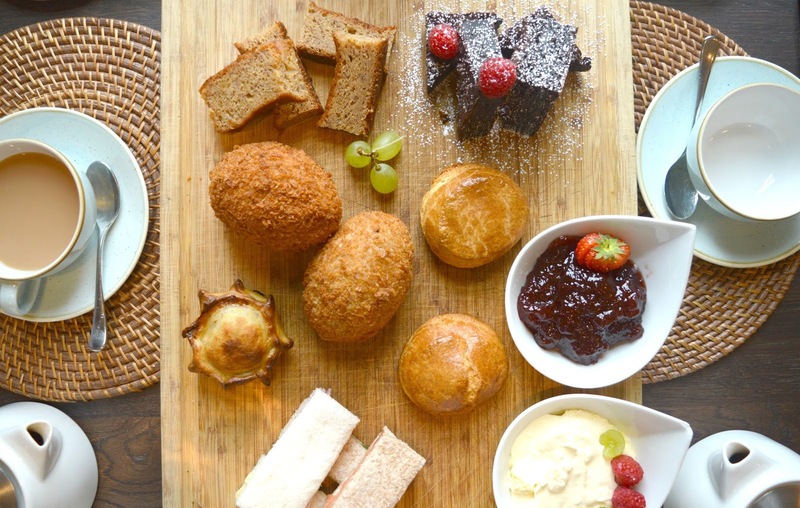 Have we discovered the best afternoon tea in the Cotswolds? 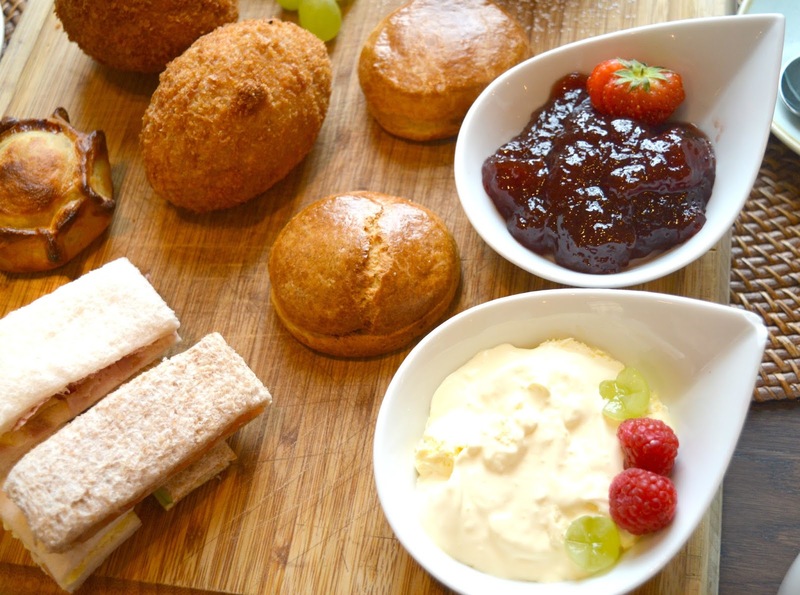 When you're staying in a hotel where the food is superb it would be silly not to indulge in a spot of afternoon tea, am I right? 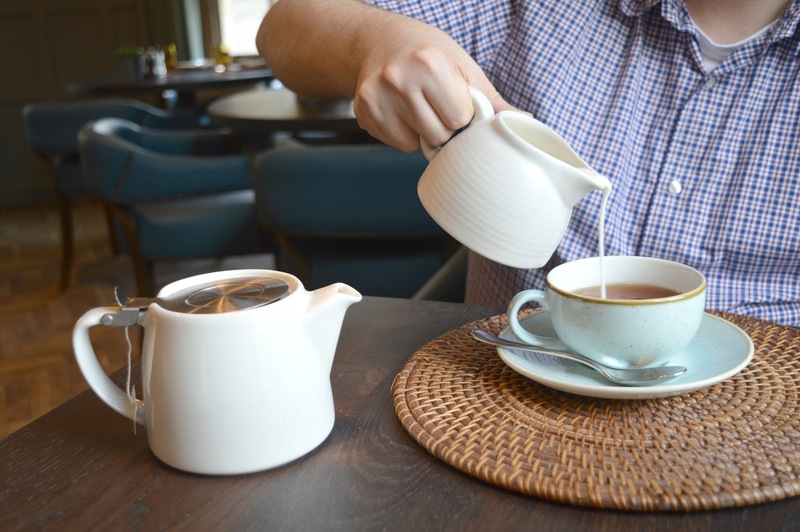 During our recent stay at The Painswick in the Cotswolds we found ourselves hiding indoors when a storm threatened to hit and so decided that enjoying a leisurely afternoon tea would be the best way to sit out the bad weather. 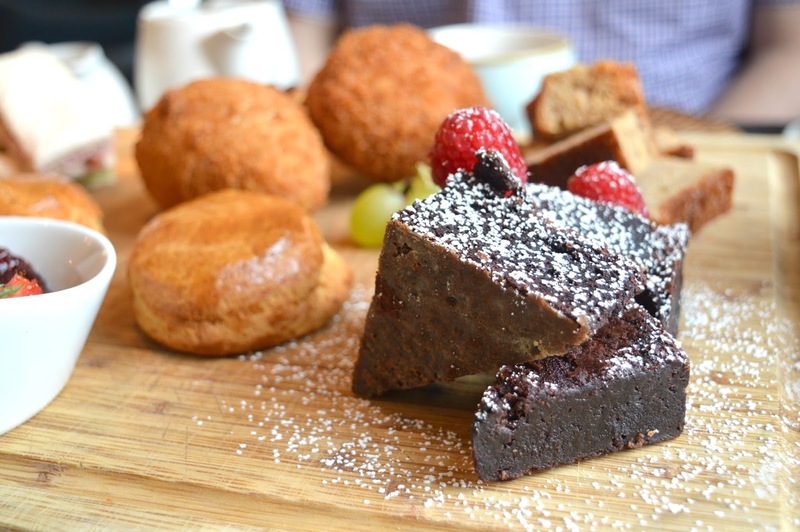 Afternoon Tea at The Painswick is served your way which we really loved. Encouraged to create our own perfect combination of treats and pick where we wanted it to be served really made the experience personal. With the choice of two lounges (complete with fire! ), the terrace (ideal in the Summer months!) or in the gorgeous restaurant we were spoilt for choice and spent a good while debating each before settling on the restaurant, our sensible heads knowing that having a proper table and chairs would be better suited to our clumsiness. We both decided we wanted a traditional mix of sweet and savoury as part of our tea and agreed on scotch eggs, chocolate brownie, a scone with jam and cream, banana cake and a selection of sandwiches (me) and a pork pie (him). 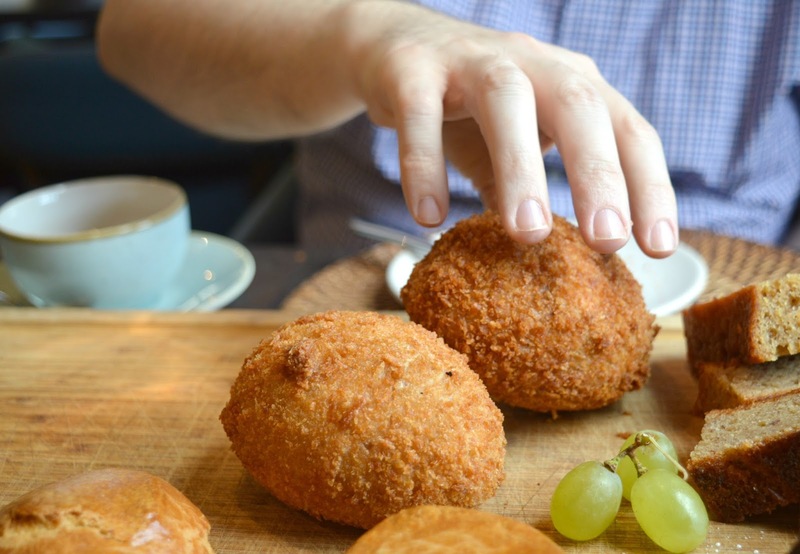 Simon and I have definitely had more afternoon teas than the average couple and do like to think ourselves quite the experts in all things tea and cake but nothing could have prepared us for The Painswick afternoon tea. Served on a mammoth wooden board, every inch was covered in delicious looking food, our eyes were out on stalks! All this for £16.00 each?! Carefully moving some non essentials off the table (we decided to relegate the salt, pepper, water and decorative plant to the windowsill) we managed to make room for our pots of tea and plates and started to tuck in to our delicious feast! In the battle of pork pie v the sandwiches, Simon definitely won! Pork pies make me nervous as I hate the jelly but I was kicking myself when I grabbed a bite of The Painswick Pork Pie because it was delicious, served warm and with no jelly in sight. I managed to steal a couple of bites before Simon told me to go away and eat my sandwiches! Boooo! Next up we both attacked the scotch eggs which were the largest scotch eggs either of us had ever seen. They were giant boulders and all polite afternoon tea etiquette went out of the window as we eagerly grabbed one each and set to work. Easily the best scotch egg either of us had ever had, we half thought about kidnapping chef and taking him home with us! Next on the agenda was the Chocolate Brownies, always such a treat for me as my nut allergy means I quite often can't order them. They were outstanding! So rich and gooey, we had to stop talking as our mouths were stuck together with all of the delicious chocolatey goo! One of us (I'm pretty sure it was me!) had the genius idea of spooning a huge dollop of cream (yes, I know they are meant for the scones!) onto my plate and soon we were enjoying our brownies with cream and fresh raspberries. It was around this time, as we sunk into our second pot of tea, that we realised The Painswick Afternoon Tea was perhaps the best we'd ever had. Feeling absolutely thrilled at discovering such a fantastic afternoon tea at such a bargain price, this was instantly replaced with a slight feeling of despair. 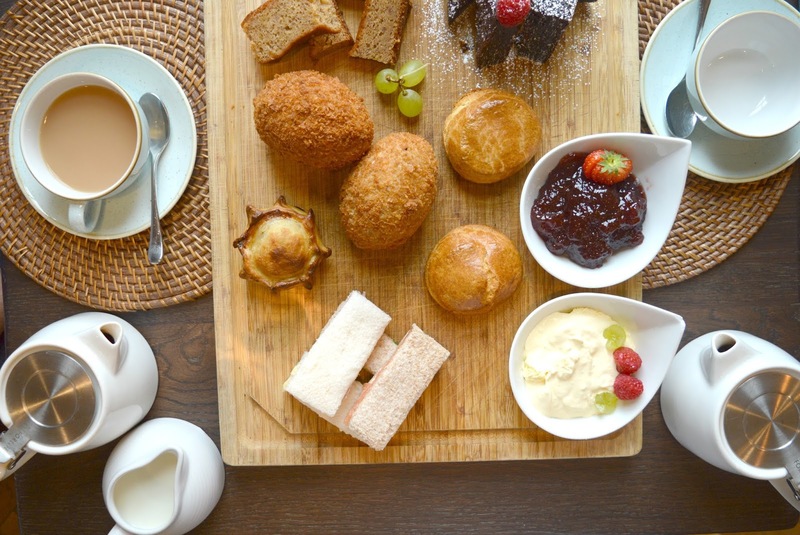 This amazing afternoon tea is over 4 hours away from our house! We finished our feast off with the scones that came served with the largest dishes of jam and cream that I've ever seen (good job as we ate so much of the cream with the brownies!) 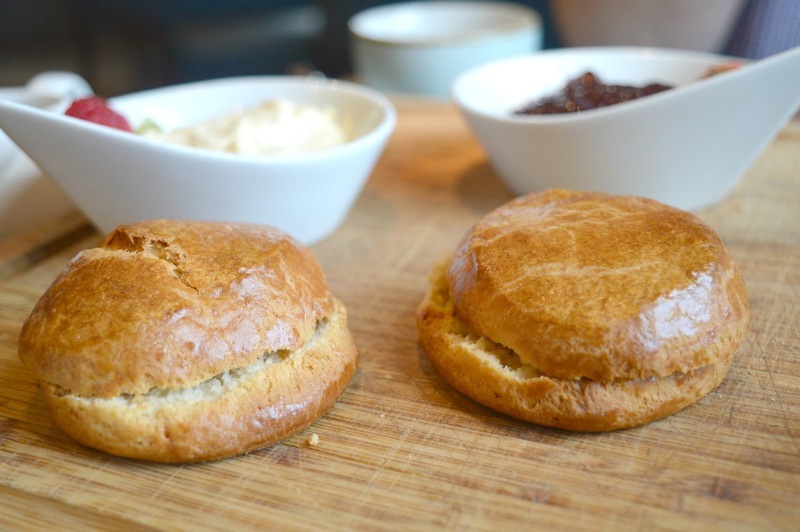 Simon did his jam and cream dance as he spread his scone with a greedy amount of both (if you know my husband you'll know that he only ever does his happy dance when he's enjoying very good food!) and as he took his first bite he declared it the best. Yes, it's true! The Painswick serve the best afternoon tea we have ever had and we are going to have to drive all the way to the Cotswolds just to have it again! For those that live in that part of the country (it's not fair!) 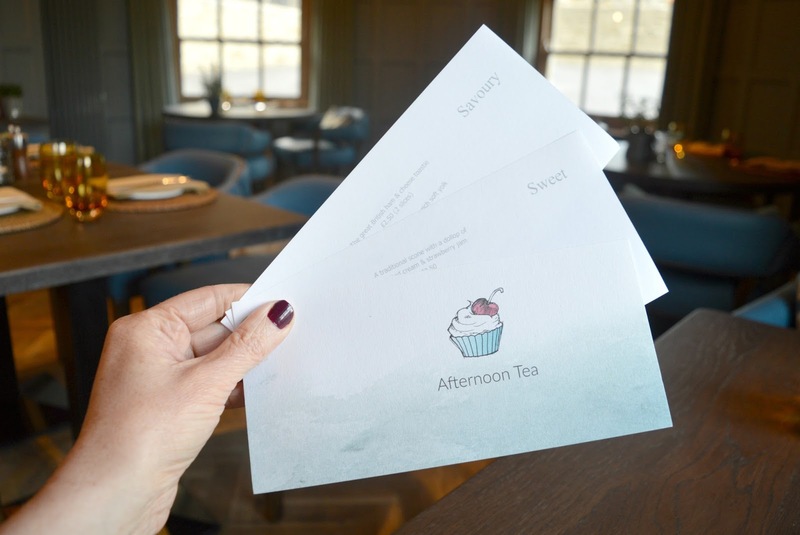 you really need to check it out as soon as possible, and for the rest of us we'd best plan a road trip because, believe me, that afternoon tea is worth travelling for! Although our stay at The Painswick was complimentary our Afternoon Tea was booked on a whim and paid for with our hard earned cash! I decided to share it with you because it really was the best we've ever had and we like to share the afternoon tea love! I can't believe it was only £16! They could definitely add another tenner on there. Almost worth the drive alone I reckon! I would have gone with the lounge by the fire I think. I love a more informal setting when it's just two people. That looks gorgeous, the pork pie looks like a real quality one and I spy Denby cups! this looks amazing and i love the choice and options! !